Fur Removal Clippers are designed for small animals. Made for research applications, small animal Fur Removal Clippers are available in wide range of models featuring multiple speeds and numerous blade sizes. 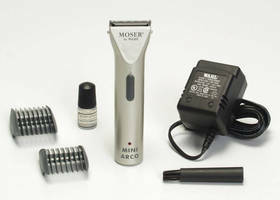 Compact and lightweight clippers are offered in corded and cordless versions. For dander free animal fur clipping, vacuum clipper system is also available. Harvard Apparatus has introduced a variety of Animal Fur Removal Products to suit all your research needs. Choose from a wide range of small animal clippers including models featuring multiple speeds and numerous blade sizes. Harvard Apparatus small animal clippers are powerful, yet compact and lightweight. Corded and cordless versions are available for maximum versatility. Choose the Vacuum Clipper System for dander-free animal fur clipping.